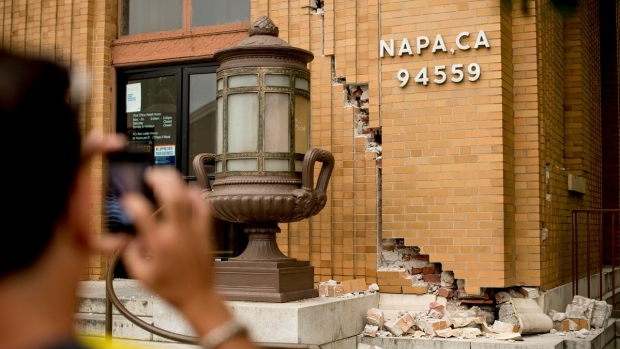 An undercover sting operation this week targeted crooks trying to scam victims of the South Napa earthquake. State fraud investigators with the Contractors State License Board caught eight contractors who allegedly gave excessive bids for earthquake repairs after the 6.0-magnitude Napa earthquake on Aug. 24. The sting operation happened Tuesday and Wednesday at an earthquake-damaged home near Fuller Park in Napa, CSLB officials said. Investigators posing as homeowners solicited bids for repairs to masonry and drywall that ranged from $3,000 for labor only to $10,000. Both amounts are in excess of the $500 legal limit where a CSLB-issued license is required. The unidentified eight contractors were not arrested, but they face felony charges of contracting without a license in a state or federally declared disaster area. The charge is punishable with a fine up to $10,000 and up to three years in prison or both, according to the CSLB. 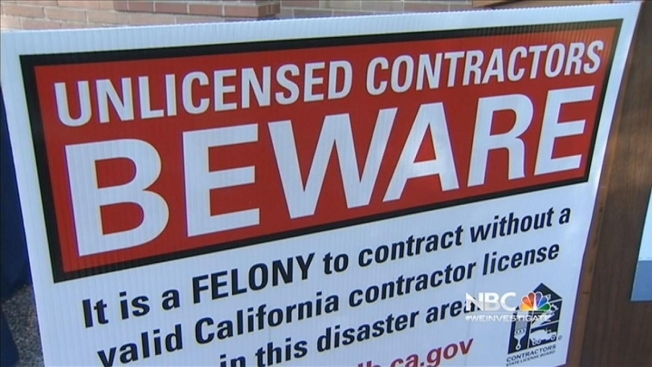 Four unlicensed contractors who gave bids for non-earthquake damage repair were arrested on misdemeanor charges of contracting without a license. They were identified as Juvertino Corona Aleman of Corona Drywall in Santa Rosa; Miguel Morales of Napa; Adan Palmas of A&L Landscape and Fencing in Napa and Efren Segura of E.S. Handyman & Landscaping of Napa. The Napa businesses also face a misdemeanor charge of illegal advertising. They are scheduled to appear in Napa County Superior Court on Nov. 18. State law requires contractors to include their license number in all advertising. Unlicensed contractors can advertise for jobs less than $500, but the ad must disclose they are unlicensed, CSLB officials said. The misdemeanor charges are punishable with fines of up to $10,000 and/or 16 months in prison. The CSLB warned unlicensed contractors about taking advantage of earthquake victims within hours of the quake. 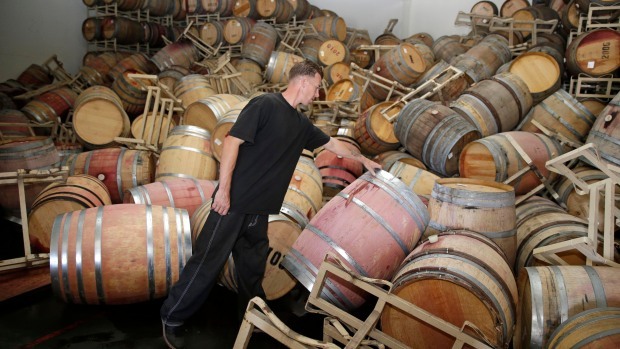 President Barack Obama has declared a major disaster in California because of the Napa Valley earthquake, releasing emergency federal funding for the state. Mark Matthews reports. The CSLB and the Napa County District Attorney's Office checked active construction sites in September. The CSLB said its staff met with earthquake victims, posted hundreds of warning signs and conducted enforcement operations. "Our experience tells us that illegal operators flock to disaster areas weeks after the initial event when many consumers are receiving insurance checks," CSLB Registrar Steve Sands said. The CSLB advises consumers not to rush into rebuilding projects, Sands said. "You are already the victim of the earthquake, don't become a victim of a non-licensed contractor doing shoddy work and making promises he can't keep," Sands said. Homeowners can check if a contractor is licensed at www.cslb.ca.gov or by calling (800) 962-1125 or (800) 321-2757.